Article: What Myths Hold You Back from Writing an eBook that Promotes You? You are a professional. You want to make a difference in people's live, and give your audience solutions to their concerns. You want to attract new clients, brand yourself or business or be known as the "go to" person for useful information in your field. You resist! You have doubts. It takes too long. You are too busy. Your book won't sell. These are reasons, but they aren't real. They are myths. You can write an eBook that will serve you and your clients well and just to start–know that the biggest myth is that you must write and publish traditionally a print book to receive credibility as the go to person in your niche. *Myth 1. An eBook is not perceived as valuable or credible as a traditionally published book. These longer books are not nearly as popular today because we are so busy. Think how much time you spend on reading! And traditional publishing process takes two years or more. Remember, I'm talking about quality eBooks here. That means the author got chapter guidance to make them engage enough to sell. That means the author knew what the nine hot selling points were BEFORE they wrote the book. This business know how is what pleases readers and brings sales. For cash flow, new clients and profits, go direct to your audience–your potential clients. Build profits step by step. 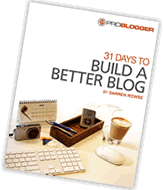 Start with an eBook, testing it on your blog. One advantage of writing an eBook first is that you can correct mistakes before you write your print book. As a long time book coach, many a client has come to me and cried over a big inventory of their print books that didn't sell. A waste of money for sure. *Myth 2. Takes too much time. When you focus on one topic at a time, you can write chapters fast. When you keep your book length under 100 pages, you can write it in less than a month. If you write a page a day, you will produce 3-4 eBooks in a year. These market your other courses, consulting, and coaching so well. To save time and money mistakes, do some market-driven pre-planning (hot selling points) before you write your book. *Myth 3. Takes talent and writing ability. Actually, the less writing know how you have, the better. Natural and organic writing is best. For non-fiction, in your own voice answer your audience's concerns and problems. For fiction, hook your audience in each chapter opening. Start with the most dramatic scene. If you can talk you can write. Readers want books written by a wise and savvy friend in a conversational style. In my early business days, I felt I was only a trainer, a teacher, a coach. Not a writer! Like me, if you see a need and fill it, you will gather that success you want to be in a higher income zone. Like me, maybe you write how to books. Self-publishing pro Dan Poynter told me over 20 years ago that information can be repackaged for any particular target audience. It doesn't take creativity, it just takes a little dialogue, a few new ideas and resources. Then you can bring it all together in an organized, short, and simple format to please your reader and potential client. When you get feedback from a book coach on what to leave in and what to leave out, you'll sail through your chapters. *Myth 5. The book may not bring enough Return on Investment (ROI) for all of your efforts. Yes, you want your audience to read your book. Then, doubts arise that you won't get your book into enough of your audience's hands for all of your efforts. Know that if you have a book that shares new, unique, and useful information that speaks to your primary audience, it has enough significance to sell well. A book is far more marketable when you do a little market research and see what people's habits, fears, concerns, complaints, desires, and dreams are. You will find what they seek through long tail key word phrases on Google. Write an audience profile or "Dear Audience Letter" before you write your book, so your book has an angle, and will stand out from the crowd. Ray Bradbury said, "I wrote the first draft of "Fahrenheit 451″ in just nine and a half days." He also advises us to write short articles and with social media so prevalent, we can turn some our blog posts into an eBook. A page a day will yield 2 to 3 eBooks a year. If Ray Bradbury can write a book fast, so can YOU. Think of your benefits in writing a book! Your book expresses who you are. Your clients, associates, and companies who need speakers or coaches will want your book. People want your solutions, inspirational words, and stories. What follows? A lifelong, constant stream of income. Ready to start your ebook to build ongoing income and gain new clients and sales? Check out "How to Write Your eBook or Other Short Book – Fast!" Free Friday's have infected Marketing for Writers and I thought this was perfect to highlight over here. Please take advantage of this and download this book right away! But after some research, you’ve found that there’s a huge learning curve and you might be left wondering if you have what it takes to make it. The answer is YES! There are so many ways to earn a living online. You may never go from broke to millions overnight, but there are hundreds of thousands of people who are earning a comfortable monthly income by selling products and information online. You can easily be one of them. It’s not difficult, and these days there are plenty of tools to help you along. The best part… most of what you need is free! THE GLOBAL EBOOK AWARDS OFFER PUBLICITY BEYOND A "STICKER." MORE THAN $4,000 IN PUBLICITY FOR A LOW ENTRY FEE OF $59. Look at all the benefits your book will receive. bloggers who focus on your book's category. For example, books on leadership will only go to blogs on leadership. Awards last. No annual fee. --Directory listing on the Global Ebook Awards website by category. --New top five Google search results when people search for "your title"
from Nominated to Finalist or Winner. there will be a charge to take it to Frankfurt and other book fairs. Amazon.com and BarnesAndNoble.com (Imagine what these reviews are worth). cover, website and book announcements. (Valued at .50 each). someone asked about the sticker. All this and more at no additional charge makes every entrant a "winner." No one goes home empty-handed like other award programs. IS THIS PROGRAM FOR EBOOKS ONLY? We hope your book is also available in other editions such as paper. Your book will be honored as the best in its genre/category. more than one category, including Best eBook Cover. ENTRY DEADLINE: JUNE 30, MIDNIGHT, PACIFIC TIME. Time is running out. ACT NOW. They will thank you for your thoughtfulness. option-in Publishing Poynters mailing list. BACK FROM POPULAR & REQUESTED DEMAND! ANY GENRE – FICTION & NONFICTION WELCOME! Are you needing MAJOR EXPOSURE for you and your book? the link where you want your traffic to flow (The site where your viewers can purchase your book – For example, mine is: http://www.thelauruscompany.com/store/9 ). your twitter username (For example, mine is http://www.twitter.com/conquerall ) – If you don't use twitter, let me know and I'll use my name for Tweet promotion. 2.) The cost is $39.99 until MID-JUNE. Expires Sunday, June 12th. (I will e-mail you from my Paypal account – gr5mom2@yahoo.ca for payment). I can get everything off the Internet. - Direct functional links so the viewer clicks on the book cover and this will direct them back to your site where your book is sold. - Formal report – I will give you the exact html code I use, with your new functionality linked book widget (so you can load this onto sites). I will also include some free promotional tips that you can incorporate into your marketing plan right away. - Plus, automatically linked to high traffic sites. "Persevere and persist as if there shall be no tomorrow." Please pass this link on to an author friend.